Normally at our house we do advent calendars. This year Lizzie and decided to get each something different than those cheap chocolate ones where you open a window each day. 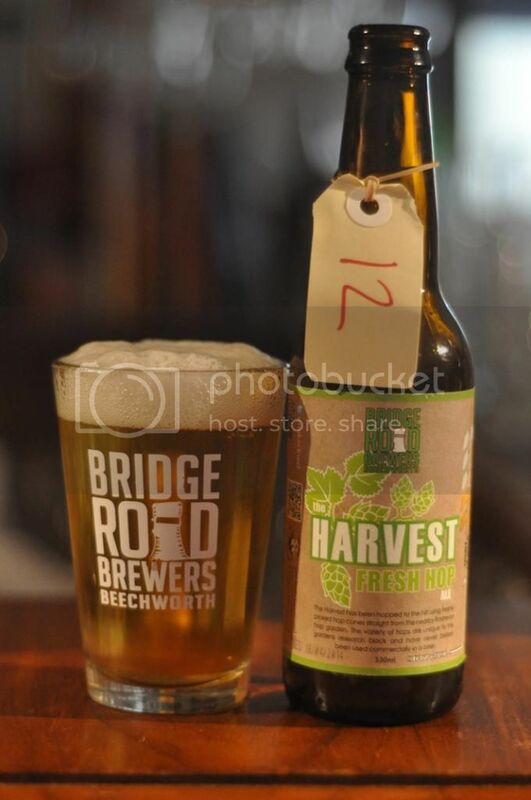 I was very happy when on December 1st I was presented with a beer from Bridge Road Brewers! The idea is exactly like an advent calendar, but instead of getting a little unsatisfying chocolate each day - you get a different beer! Apparently Bridge Road have been saving up some of their rarer stuff for months in anticipation! I'm really excited about this pack and naturally I'll document my findings here. I intend to post this wrap up in 5 parts so you can follow along only a few days behind me. I'm hoping it'll be a great journey and I'm looking forward to trying some Bridge Road beers that I haven't had a chance to sample yet. Hopefully you enjoyed the first and second installments, it's now time for the third! 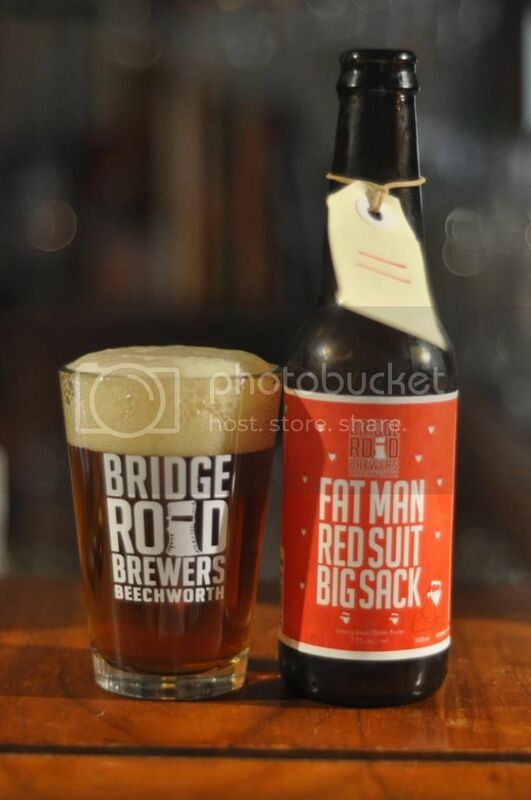 Day 11 - Fat Man Red Suit Big Sack - This third #beerdvent review kicks off with another beer that I've yet to have before. Apparently FMRSBS was initially brewed as a beer for export to Canada. It's IPA and it pours an amber colour with a cream coloured head. The head has limited retention and it doesn't take long for only a ring of foam to be left behind. The nose is incredible with grapefruit, mango and guava all jumping out at me. There's also quite a big bodied bready and caramel malt base, which gives the nose good balance. The flavour was well balanced as well, with more sweetness than expected from the malt combining beautifully with quite bitter, fruity hops. It's lovely; one of the best of the bunch so far! Day 12 - The Harvest - Our work Christmas lunch and subsequent beers got a little out of hand and so I'm getting into this beer on the 13th. I've had a couple of these years version of The Harvest and so knew what to expect. The beer poured quite a clear golden colour with a foamy white head on top. The aroma of this beer surprised me. Despite being an 8 month old Harvest Ale, a style meant to be drunk fresh, it smells very grassy and hoppy. The hops don't appear to have faded much at all! They are bitter and have tropical fruit and grassy elements. There is also an interesting Belgian yeast character that I don't remember coming across in this beer before. 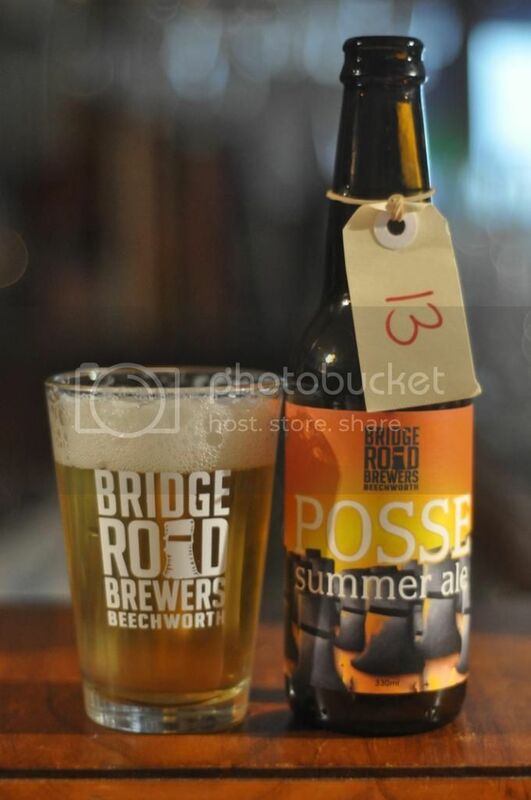 Day 13 - Posse Summer Ale - As I predicted at the end of the last #beerdvent we have now got the other Posse beer; the Summer Ale. Just like the Winter Ale I haven't had this before, but have heard rave reviews about this being a quaffable Belgian Pale Ale. The pour was interesting for the style, with a slightly cloudy straw colour that seems more in line with a Saison/witbier. Despite it's appearance Posse Summer Ale had plenty of the characteristics normally associated with Belgian Pale Ales. The nose was light with hints of citrus hops and a nice Belgian yeast character. As I'd been told the beer was nice and light, with the Belgian-ness (for want of a better word) kept quite restrained. It'd make a nice Summer beer. 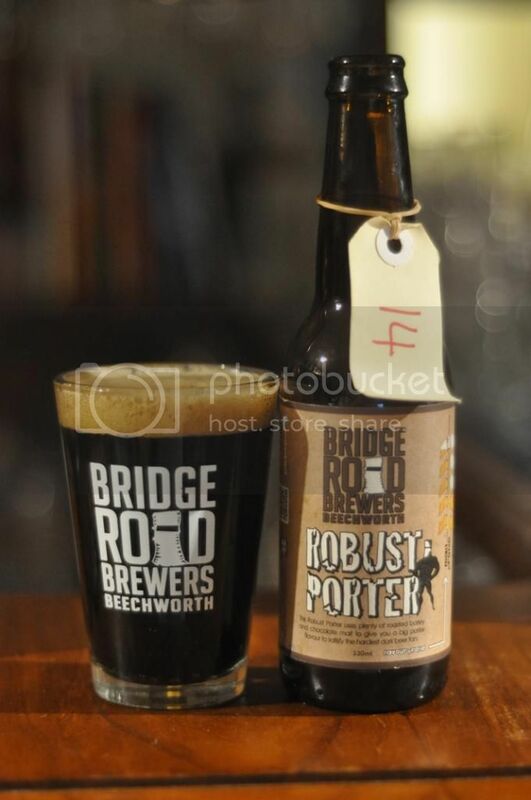 Day 14 - Robust Porter - Robust Porter is a beer that I don't think I've had before. I'm a big fan of Porters so I'm definitely surprised that I can't remember having it before. The pour is what you'd expect for the style, with a relatively small tan/khaki head covering an opaque dark brown body. The nose of this one was big and bold, with chocolate taking pride of place up front. There was also plenty of roast character. The flavour was likewise with chocolate to the fore, although there was plenty of roast and more than enough coffee to balance out any sweetness. It's got a brilliant dry finish with plenty of bitterness. I highly recommend this one for Porter lovers! Day 15 - Aurora Borealis Ⅱ - This really made my day when I saw this! Aurora Borealis Ⅱ, was the other beer I predicted we would see in this set of 5 beers, and here it is! This beer was brewed by Kjetil at Nøgne Ø and then shipped to Australia in cognac barrels, The base beer for this one is a Tripel and it pours a nice orange colour with an off-white head. Aurora Borealis Ⅱ has a very strong aroma of cognac straight from being poured. As it warms you begin to get more of a Belgian yeast aroma, which leads into the taste. There's spicy Belgian yeast, there's malt sweetness, there's fruitiness, there's hints of cognac. It's a particularly nice warming beer. 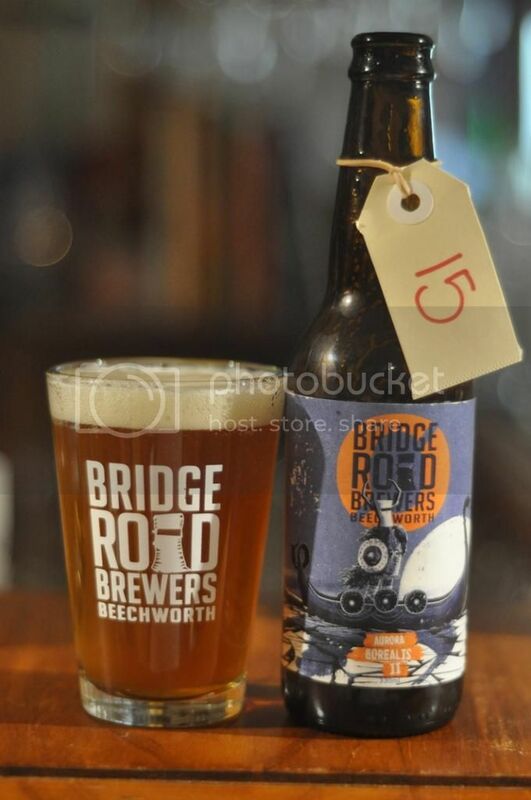 We're over half way through the Bridge Road Beerdvent and I'm sad it's coming towards an end. Thankfully though we have 10 beers (yes, there is a Christmas day beer!) left. I'm not sure which of the rare beers are left to have! I've pretty much exhausted my knowledge of Bridge Road beers and so can't wait to see what comes next!